I didn’t get to meet Greg myself, but my parents were impressed with his honesty and professionalism. He was very flexible and gave me a fair price for his services. I plan to use Greg for any AC needs in the future. We are very happy that we hired Greg to come to install our garage heater. He and his co-worker were very polite, and efficient, and we are very satisfied with their work. For any future HVAC projects, we will definitely reach out and do business with him and his company, IntegrityOne, again!!! Thank you!! The igniter switch on my furnace broke. He was there very quickly. Showed me exactly what the problem was, told me what the cost would be, and had it fixed within a half hour. I had another company come out the day before – they told me I needed to replace the whole unit and this would have cost me thousands of dollars. Glad I called Integrity One, saved me tons of money. He was very friendly and professional. He has a customer for life! They got my AC and furnace installed in one day for thousands less than the other guys I got bids from. It was also very easy to committee with them. This guy is an angel in disguise. My husband has cancer, and doing chemotherapy. He found us the part we needed for 400 dollars less than what someone had quoted us. He even delivered the part to us. We will call on Greg, from now on. Don’t waste your time calling others! This is the guy you need to call. He is fast and very polite. Very kind repairman. I feel like he was very honest. Returns calls and texts promptly. Friendly and on time. Highly recommend. Greg was so helpful and answered so many of my questions before he even came out. His pricing was much better than the rest and the quality was wonderful! Air Conditioning Repair — We had a yard clean-up crew cut the Freon line to our air conditioning unit and all the Freon was drained. Greg responded to our Thumbtack request for repair quickly and it was an amazing experience from there. He worked us in his busy schedule (our house was 90 degrees inside) and repaired our cut line plus added the Freon back into the unit in about 30 minutes on the same day. We had a bid from a large company in SLC and they were 3x the price for the same repair and tried to sell us a new unit for a great deal of money. When we actually need to replace our Heater and Air conditioning units we will be calling Greg for this as we feel his price will be fair and not overly inflated. We already know his work is exceptional. I feel lucky that he picked up our repair on Thumbtack as this will save us $$$ in the future. Nice guy, and a pleasure to work with. We will keep our business with him. Greg was great. On time and always communicating. Great price and clean professional work. Any HVAC I need in the future is going to Greg. Highly recommended. Excellent Service! My husband works out of town and of course, our furnace went out two days before he left! Greg came on a Saturday to give me a bid and was able to install the new furnace on Monday! Greg explained and answered all my questions in a way that I could understand. His pricing was very fair. This was a good experience and I would highly recommend Greg and his work. Fair pricing and really engages with you all the way through until the work is done. Honest and stands behind his workmanship for 2 years. Refreshing to see someone honest in this business. Great guys! They were on time, fixed the issue, explained to me what was going on and were very professional. I’d definitely hire them again if needed! I am a realtor and had a client that had a furnace guy tell him his furnace needed to be replaced, so I called Greg to get a quote. When he took a look at the furnace he let me know that the furnace only needed a quick tune-up, and within 20 minutes he had the furnace running well and saved my client a bunch of money. Bid and install of a new AC and coil at a fantastic price. Greg’s experience and expertise showed in our talks and in the work done. I will hire him again. I can’t say enough good about Greg Heyborne. He was quick to respond and give me a bid on a new air conditioning system. He made the entire experience enjoyable and I am more educated on how the system works. Greg is outstanding and I recommend him to everyone who mentions needing an air conditioning system. Thank you Greg for an outstanding experience. Got the job done quickly and efficiently. Great job communicating. He was very quick and honest. Showed concern and care for my situation. I was not able to get as much money as was given bids by other companies. He was well lower than the other bids and was not concerned about the money right away. He was more concerned about my family being warm. He had given me a lot of information about what I needed and what he could do for me. My family is very thankful to have found him. We were going to buy a bunch of Goodman equipment and have Greg install it… But when we talked to Greg he guided us to a much more cost-effective product that works great. The install was flawless, we saved some money, and my wife’s super happy. Greg is THE MAN! He was honest, and on time, and at a fair price. Greg was awesome. He came out at the requested time. He took the time to troubleshoot the problem and even discounted some of the service. When the initial service call didn’t fix the issue, he came back the next day and found the problem and even did the remaining service for free. He is super friendly and is really trying to change his industry’s reputation of robbing people. I will recommend him to anyone and everyone who is looking for A/C service. Greg, I am impressed by your knowledge and the time you took to help me and my husband out to get a new furnace installed during this busy season. Our tenants in our rental property are warm and happy! We will for sure be using you when we have to have the central air and furnace replaced in our home when the time comes. Not often you find a company that truly wants to help people and charge them a reasonable price. You saved us over a $1,000! Thank you! Greg was great, super honest and fair, took great care of us. He’s our guy from now on. We had central A/C installed. Greg was great to work with! Everything was done quickly and efficiently. He was extremely knowledgeable. Everything from the quote to installation was done within a week. Definitely recommend! Hiring Greg and crew from Integrity One is the best decision I could have made. I was closing on my house and furnace went out, Greg went out of his way to get us a furnace installed at an unbelievable price. I am forever indebted to Greg for his assistance and professionalism. You are doing a disservice to yourself if you do not hire Greg and Integrity One. Great service, very professional, excellent! I would hire these guys again in a heartbeat! Greg was quick to respond to my urgent request for an inspection and even went out of his way to help me on the weekend when he had other plans. He has a ton of knowledge and was extremely helpful. I will definitely be hiring him again. Thank you, Greg! I left a message with him at 7 AM on a Monday morning and he called back within about an hour. He talked me through the problem, gave me some troubleshooting tips, and ultimately was up within two hours at the top of the canyon to work on the furnace. It turned out to be a fairly simple fix (kudos to Greg for not trying to sell me a whole new control board! ), nonetheless driving up to Brighton in the winter alone is no small thing (it literally took the last company six weeks to come up) and it adds at least an hour round-trip to any job, so I was impressed he only charged me the standard service charge. I’ve never seen such fairness and honesty in any service industry, Greg of Integrity One is definitely my new go-to HVAC guy. Very honest. Quick and friendly. They could have replaced the furnace but just fixed it very cheaply. I was having problems with my ac unit blowing cold air and instead of throwing a price in my face right off the bat he helped me problem solve. I didn’t have to spend a dime!! Talk about service! I feel I owe this company more than just 5 stars! I know who I’ll call for sure!!! Thanks guys!!! Diagnose AC breakdown and replace the compressor. Service was excellent – prompt response and repair. I’ll definitely use Integrity One the next time I need HVAC help. I’m also recommending them to others. Honest, intelligent, & 1 of the kindest people one could ever meet. Was extremely satisfied with the quick, honest, and wonderful work he provided. He is reliable, resourceful, and productive. Does not give you the typical turn around sales rep script that you get from other HVAC guys. Will certainly figure out what’s wrong, no surprises or hidden fees… simply will give you your honest options to look at and let you decide without pressure. Truly is helpful. I have to say I was very impressed and would highly recommend Greg above all other HVAC guys. Thank you, keep up the excellent work! Super job will be working again with this company. An honest repair is hard to find. Thanks for being one of the good guys. Greg was awesome! VERY knowledgable in his field. I had to change out a coil and compressor Greg was always on time and in contact. I would highly recommend him for your AC needs. I’ll def call him again if I need anything! BTW, he had my old coil and compressor changed out and new one installed and running in under 3 hours. I would HIGHLY recommend Greg. I lucked out choosing him. He was knowledgeable, honest and prompt. He is on my reliable list of contractors for my home. Great experience. Avoid the crap you get when you go with those sales reps who simply charges a fee for every little thing and then some more. Do yourself a favor, try it out with Greg first before you end up paying for numerous junk fees that are simply “criminal” to the consumer. You won’t be sorry nor will you feel duped. Less of a headache and stress for yourself. Excellent! I know next to nothing about HVAC and the help I got and the advice I received made me feel really great about the decisions I made. Very helpful, very flexible, they worked quickly and were affordable. Fantastic work came out and got it done in 3 hours was professional and works great! 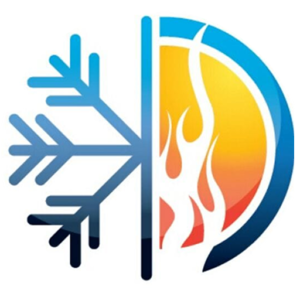 Greg is a very honest professional in the HVAC field, he was very knowledgeable and restored my unit that another contractor wanted to replace with new. Thanks to Greg’s honesty he got my unit up and running for way under bids that I had received. I highly recommend Greg and his Company! Integrity One installed a quality furnace at a great price for me. Greg and Chandrick are great at the work they do. Perfect installation! Highly recommended!!! He has done a great job. He’s working in my house right now and I’m very amazed. He really helped me, I’m impressed. I would recommend to do the next job in your house. Integrity One HVAC went above and beyond when it came to helping me with my furnace. I was incredibly impressed with not only their professionalism but their willingness to help me correctly fix my issue while saving me money! I would highly recommend this company. Work is not done yet but very prompt and professional. Greg has done work for us at home & my work. He has come on days off, after work, etc, and has never overcharged or steered us wrong. Dependable, honest, but also one truly good person! Greg was honest, friendly, efficient and quick to respond! I am thrilled with the services he provided! I’m not one to typically write reviews but this company certainly deserves mine. These guys are top notch, honest, and fair. One concern I had was getting a good quote and having the end total way higher. This was not the case. Try these guys and you will not be disappointed. There’s a reason why they’re so highly rated. If you are looking for someone honest and fair, Greg is the guy. Replaced a/c compressor and coil. Did a great job. Great price. I highly recommend! Dealt with Greg on the phone and he was great. My mother was the one who dealt with him at our house and she could not stop telling me how great he was and all of the little extra things that he did and very transparent, open, and honest about everything he was doing. Now that I have had a chance to look at the work myself I 100% agree with my mother’s view on him and his work. Both my mother and I would highly recommend him to anyone without any reservations. Excellent experience replacing both my AC and Furnace. I would highly recommend them and will be using them again in the future. Good, honest company that is out to help. Saved me thousands of dollars.